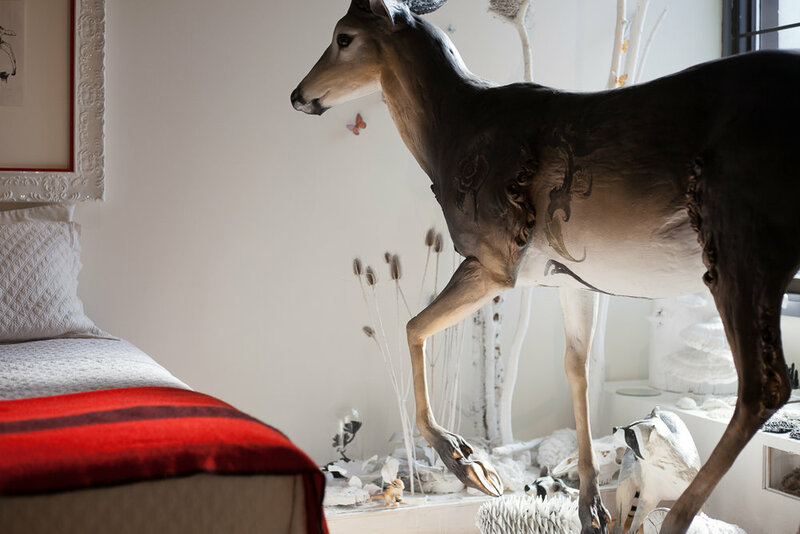 Nathalie Grice is an Ottawa-based artist whose sculptural works explore the lines between the natural and the artificial as a means to question prevalent contemporary cultural and social trends. Having received a Bachelor of Fine Arts degree from the Ontario College of Art and a Bachelor of Education degree from the University of Ottawa, Grice has been able to pursue her interest in both biology and fine art. Grice completes a great deal of research when she sculpts. Having close ties with the Canadian Museum of Nature allows her to carry out some of her research with the scientists and collections available at the research center. Grice has also had a longstanding interest in various subcultures. She uses elements of hip-hop, punk, custum car culture and tattoos to comment on our encroachment on wildlife’s natural habitats. space and light are themes that continually inspire.